· Smart Home Installation: To DIY or Not to DIY? Smart Home Installation: To DIY or Not to DIY? When you’re choosing a smart home security system, you’re faced with a lot of choices, like what to get and where to put it. But once you’ve finally decided what you want and need, you’re faced with another major decision—get a professionally designed and installed system or create one yourself? For some, this will be a simple choice. But for die-hard DIYers who take pleasure in tinkering with devices and wiring or who are concerned about the cost of a professional system, you could be on the fence. One of the main benefits of a smart home is seamless integration among products. This integration allows you to do things like adjust your lighting or temperature with your voice and control everything—from locking your front doors to arming your security system—remotely from one app. With a DIY system, components are often sourced from different brands and are pieced together. Sure, they may all work, but they don’t always work together. What’s more, if you do manage to get them working together, you’ll likely need to use different apps to control each device. 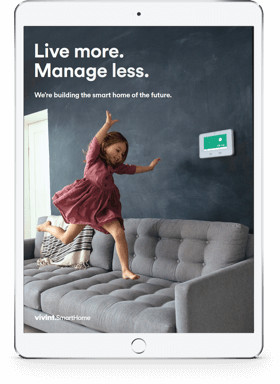 A professionally installed system, like a Vivint Smart Home system, allows you to get the most from your smart home. Your smart home becomes an ecosystem of smart devices that work together seamlessly. You can even set up custom rules to trigger certain actions, so that when you arm your system, all your doors lock, your lights turn off, and your temperature turns down. With a professionally installed system, you can trust that everything works together perfectly. One of the thing that appeals to DIYers is the ability to customize their system. Some people are worried that purchasing a professionally designed and installed system means they’re left with equipment they don’t really want or need. 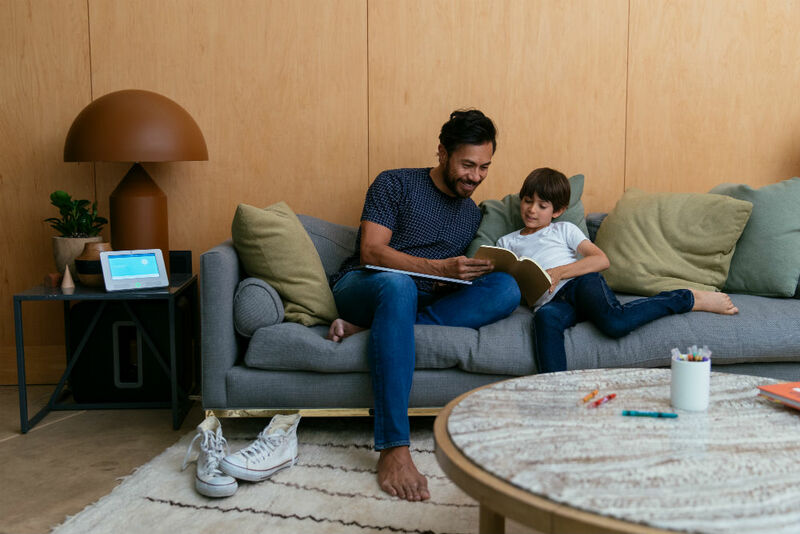 With Vivint, you can create a smart home that’s customized to what you need and want. What if you’re not up to date with the constantly-changing tech world? This is where a Vivint Smart Home Pro's experience comes in handy. 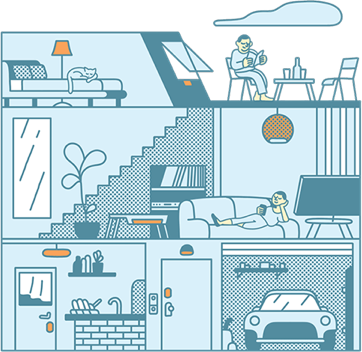 These smart home experts listen to what you need and help you customize a smart home that suits your lifestyle. Another benefit of a professionally installed system is round-the-clock professional monitoring of your home. Say you’re on vacation and a fire starts. Or a burglar breaks in while you’re at work. What if a pipe bursts and your basement starts to flood? When an event triggers a smart sensor, a member of Vivint's professionally monitoring team will track the event and notify you immediately. 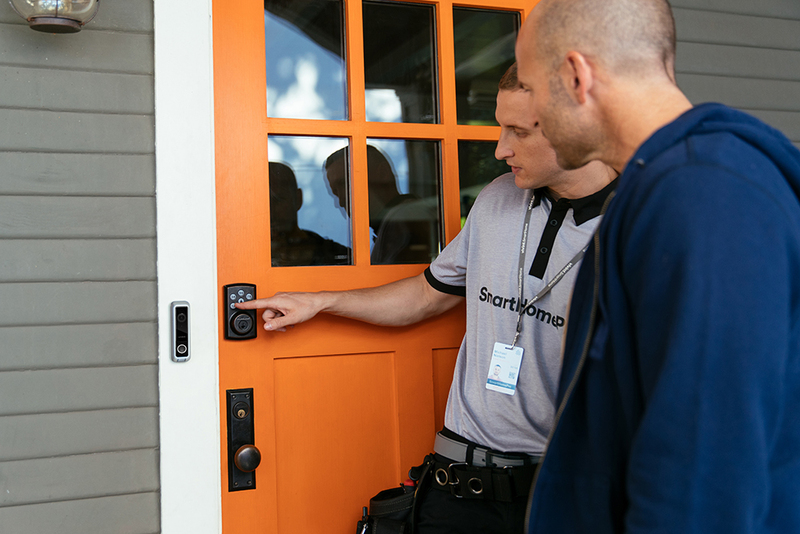 With a smart home system from Vivint, you can rest easy knowing our professional monitoring specialists always have an eye on your home. Some DIY options can also notify you if emergencies happen, but what if you’re not home to take care of it? Or what if you're in the middle of a flight and can't receive a notification? This is where a DIY security system simply can’t compete. In an emergency, every second counts. Vivint’s 24/7 professional monitoring team will contact the proper authorities for you if you’re unable to respond, so you can rest easy knowing that in an emergency, no time is wasted getting help. Related Article: How Does Home Security Monitoring Work? As amazing as technology is, glitches sometimes occur or things don’t quite work the way you need them to. Trying to troubleshoot a DIY home security system and its many different components can be difficult and frustrating. And trying to get help with integrating smart devices can take you down a rabbit hole of help videos and forums looking for answer. 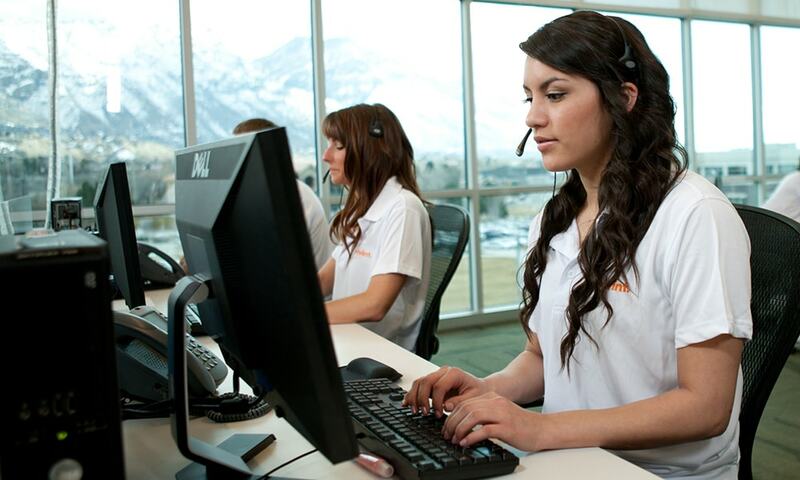 With a Vivint system, you can call or chat online any time for assistance with your system. Vivint’s support specialists not only have in-depth knowledge about each product and device, but how they work together as well. DIY means a steep learning curve, lots of trial and error, and time. A lot of time. If the thought of spending your weekend trying to install devices, hide wires, and then get them to work together makes you cringe, a professionally installed system is the way to go—simply sit back and relax and leave the work to the pros. 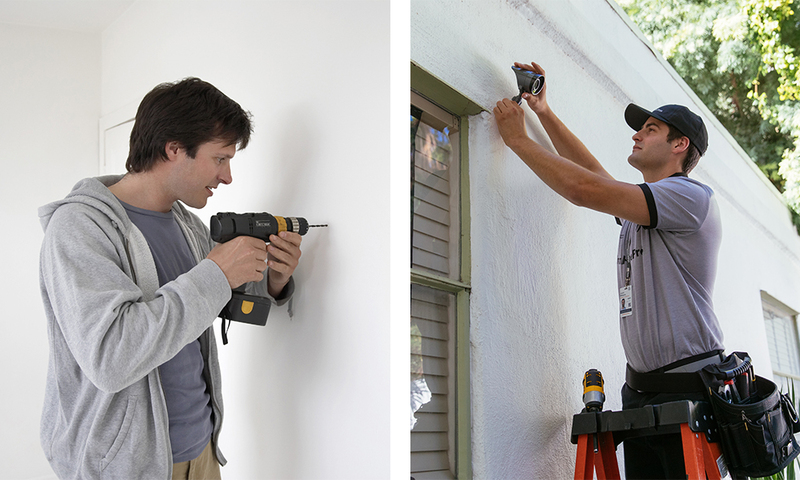 Not only do Vivint’s Smart Home Pros know the technical side of installation, but they also have insights into placement. They know exactly where to install cameras and motion sensors for ultimate security, and they’ll also train you on the system and answer any questions you have. Enjoy a stress-free professional installation with one of our Smart Home Pros. For many people, DIY comes down to cost, because having a system professionally installed and designed is really expensive, right? Not with Vivint. "There's this misperception that when you DIY a system . . . you get away from certain fees and costs,” says Caleb. “For my money, it looks like the cost comparison is about the same. So if you're going to be paying a monthly fee, I'd rather have that integration with emergency services and the amazing support that comes with it." At the end of the day, the benefits of a professionally designed smart home system far outweigh the DIY route. For a similar cost, you get a seamless system that works together to keep you safe and comfortable in your home—and you don’t have to lift a finger. 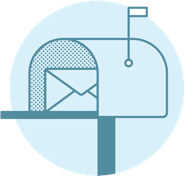 Want to learn more about getting your own Vivint Smart Home system? Call us at 800.646.1469 for a free consultation today and one of our Smart Home Pros will create a customized quote for you.